David became an outspoken pro-life advocate after Planned Parenthood announced plans to build an abortion clinic in his Texas town in 1998. Planned Parenthood recognized the effectiveness of David’s efforts when it labeled his town “the most anti-choice place in the nation.” David led the first-ever 40 Days for Life campaign in College Station, Texas. 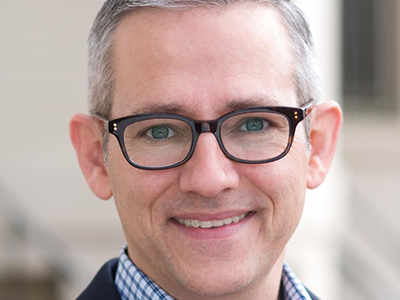 David moved to the Washington, D.C. area in 2005 where he served as executive director of American Life League and national director of Stop Planned Parenthood until being asked to lead the worldwide 40 Days for Life movement. "Behold, I make all things new." -Revelations 21:5. After years of prayer, discernment, and a whole lot of wrestling with God, I was received into full communion with the Catholic Church at last night's Easter Vigil, with Margaret as my sponsor, Patrick altar serving, and Claire in attendance, along with Margaret's mom, Helen, and other dear friends. When my mother was alive, she always told my brother and me, "It doesn't matter what color the person you marry is, just make sure you both share the same faith." Margaret and I have always had far more aspects of our faith in Christ in common rather than our differences (our second date, on January 21, 1990, was to attend Mass at St. Mary's Catholic Center at Texas A&M, and we've attended Mass together weekly for all 28 years since) yet I've always had a longing to be more unified in our church affiliation. With that said, I struggled with many questions, misconceptions, and hangups along the way. I have endeavored to continually learn and grow through prayer, studying Scripture, theology, and church history, reading, and seeking wise counsel. Throughout my life I have also been surrounded by many amazing Catholic Christians whose faithful, loving witness has continually inspired and attracted me — most notably the beautiful example lived out by my incredible wife and wonderful children. This journey has deepened my appreciation for a wonderful Christian upbringing, my years of experiences within the Presbyterian Church, the time I was involved with Evangelical ministries while in college, and the blessing of getting to work and pray alongside the many different parts of the Body of Christ in my 15+ years of pro-life work. Following a profound experience during an hour of Adoration last September, I attended RCIA classes over the last few months. Lent took on far more meaning than usual for me, as I prayed and fasted more intensely than ever with a focused desire to continue growing closer to Christ. Now I am filled with joy, and am at complete peace, about this next step in my life-long journey of faith. This news may come as a surprise — both to those who assumed I already was Catholic, and to those who thought I never would be — however, nothing changes about my love and appreciation for, and desire to serve, the entire Body of Christ. Thank you to everyone whose prayers, encouragement and support have helped me so much along the way. Have a blessed Easter. Jesus Christ, our Savior, is risen today. Alleluia!! 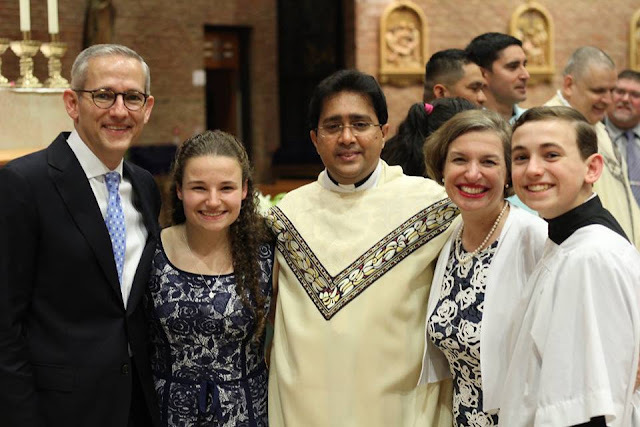 Source: David Bereit on Facebook - Photo credit: Anna Harter – mit Claire Bereit, Sunny Joseph, Margaret Bereit und Patrick Bereit – hier: St. Mary of the Immaculate Conception Roman Catholic Church.